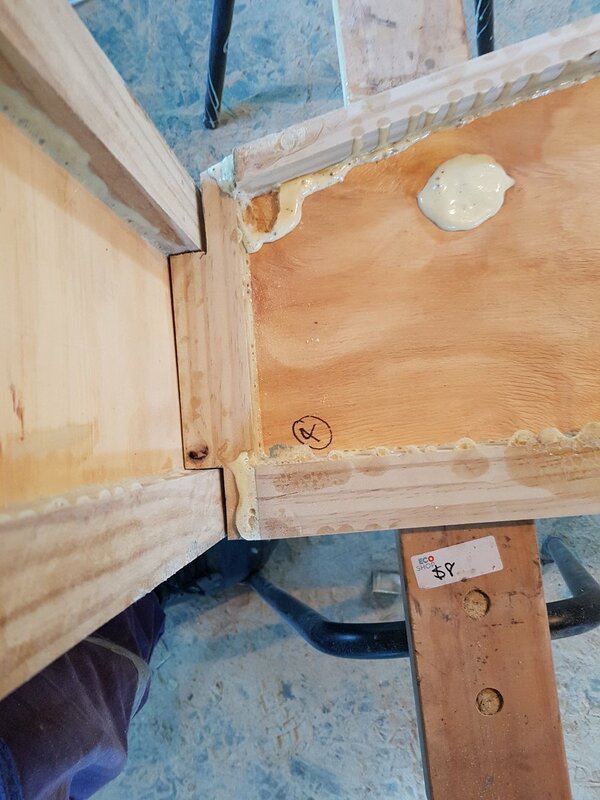 There is a wise saying that suggests you should measure twice and cut once. 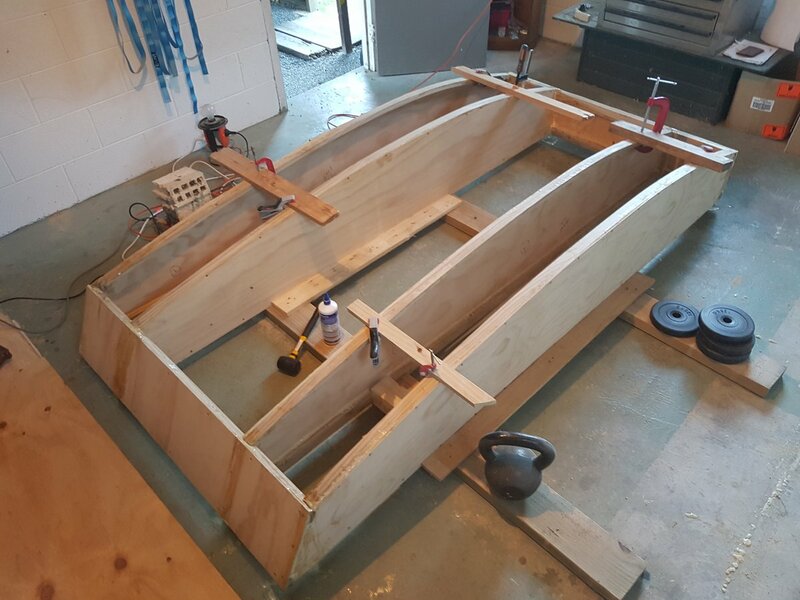 Taking this to heart, I have taken my time on the next stage of the boat build – going 3D! Before I could do that though, I needed to finish a work trip to the West Coast. 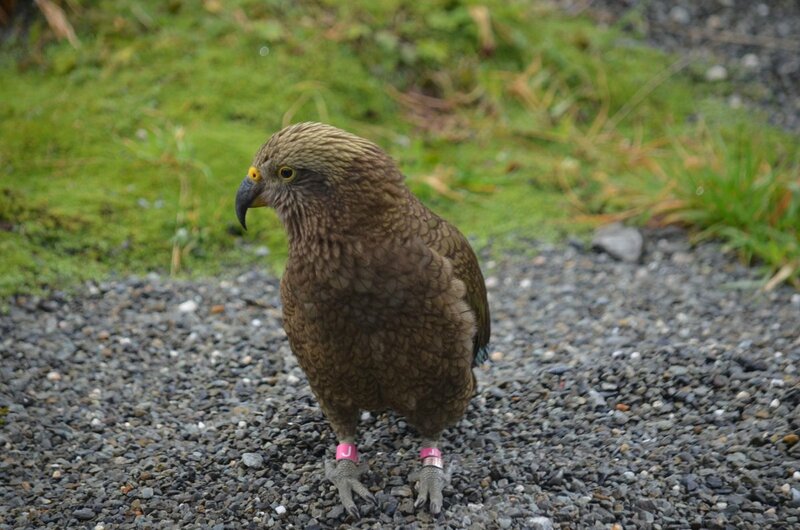 On the way, near Arthurs Pass is a well known spot for seeing the Kea, or Alpine Parrot. These cheeky birds will help themselves to any bag, open car or food lying around. The one shown above even tried to sneak around me when I was looking elsewhere and start chewing on my camera strap! 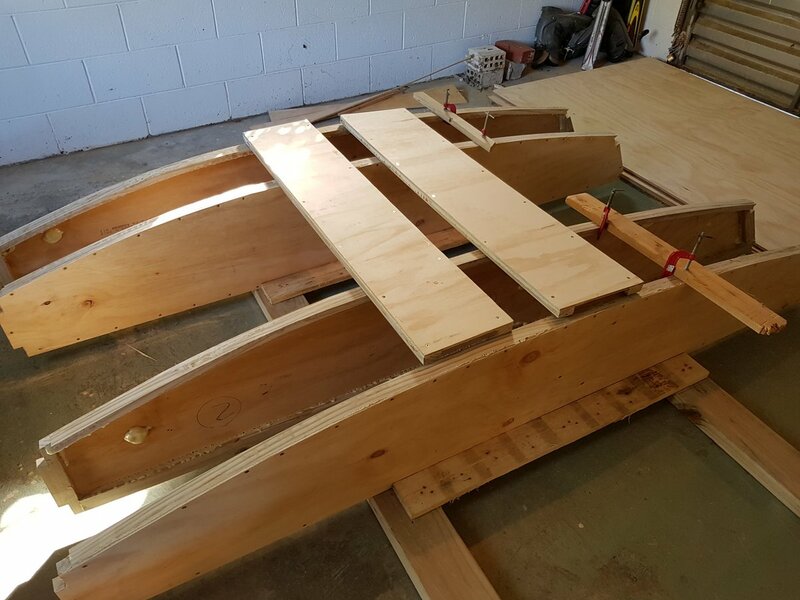 Once back on the shed, it was time to create the bow and stern pieces. These are made in the same way as the four sides. 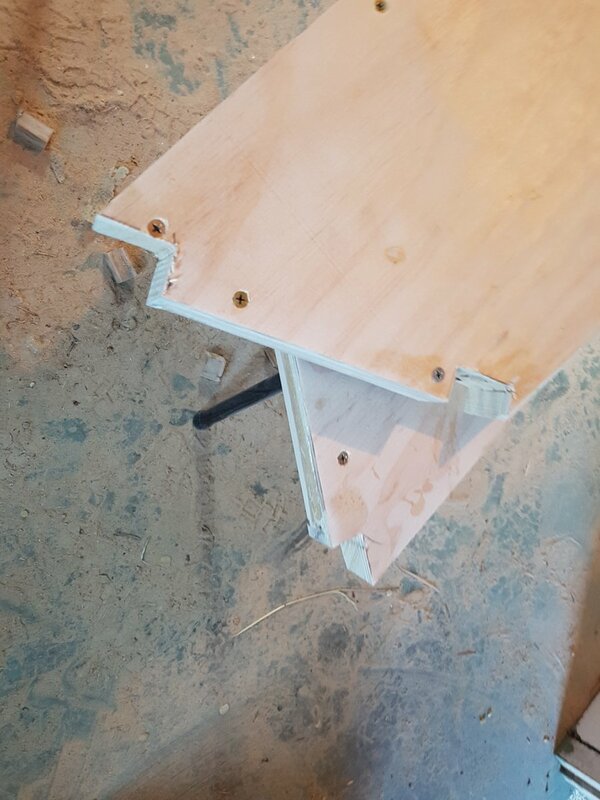 There was a slight bend after assembly, so I clamped them for a few days to get them straight again. Small grooves needed to be cut to make room for the bow and stern pieces to fit. I then needed to think very carefully about how to glue everything together straight and square. The main problem being I have no straight edges or true, level floor to reference against. 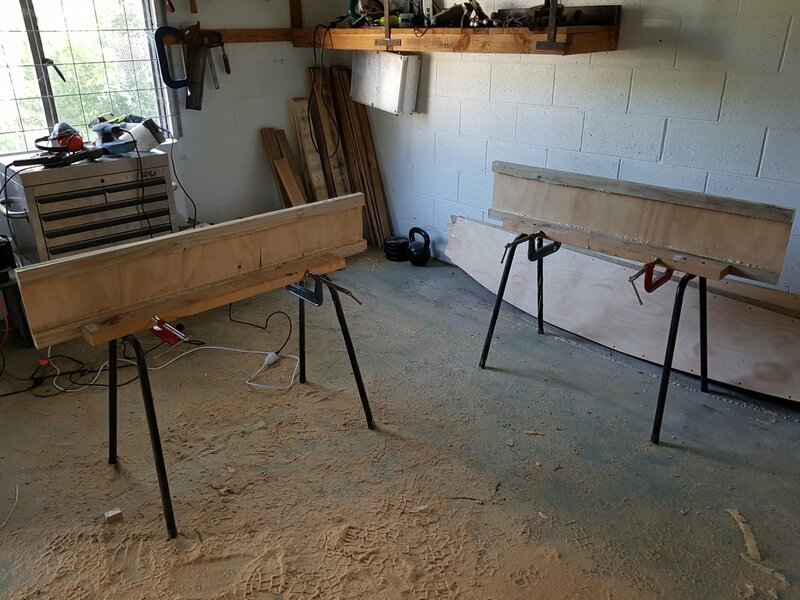 I started with setting parallel planks for the twin hulls to fit against. 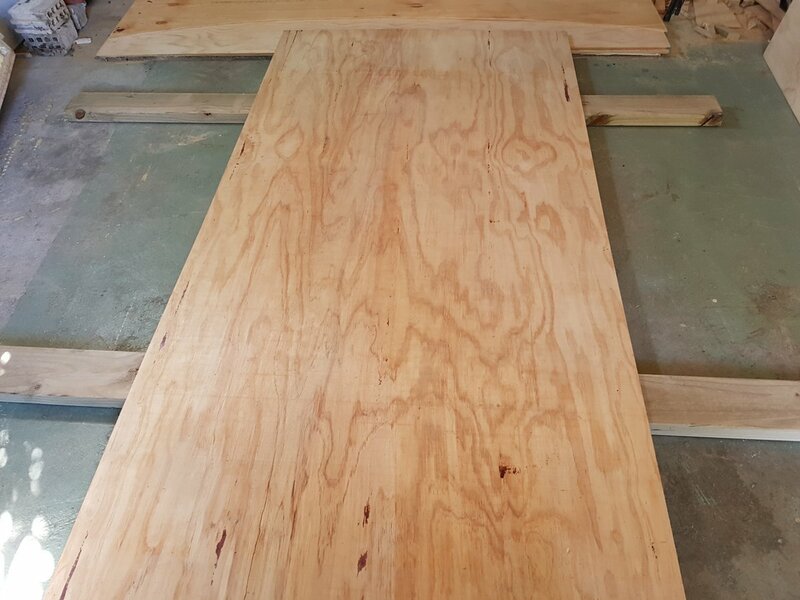 By using the single piece of plywood which makes up the boat floor I ensured the outer edges would align with the actual floor. 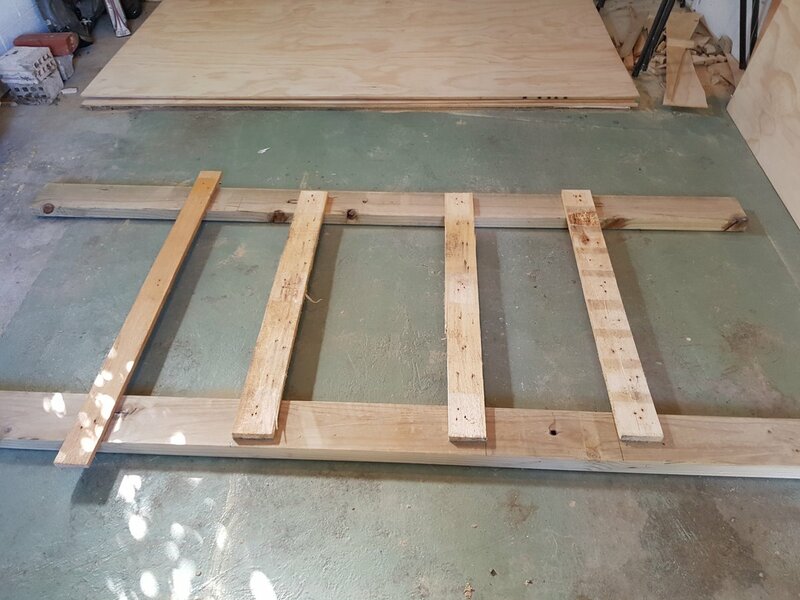 I then clamped the hull pieces into this frame, and checked for parallel with a rule and more clamps (you always need more clamps!). 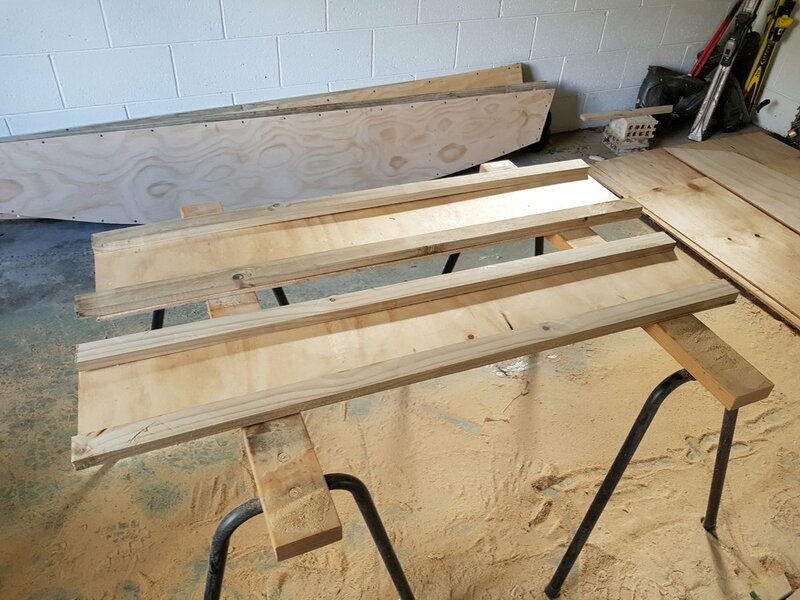 Finally, I used plywood wedges and blocks to make the bottom (actually the top) of each hull piece perpendicular to the floor. Then I could attach the bow and stern in a slightly stressful single run. Eight joins and twenty-four screws to complete before the glue begins to cure! Almost looking like a box boat! 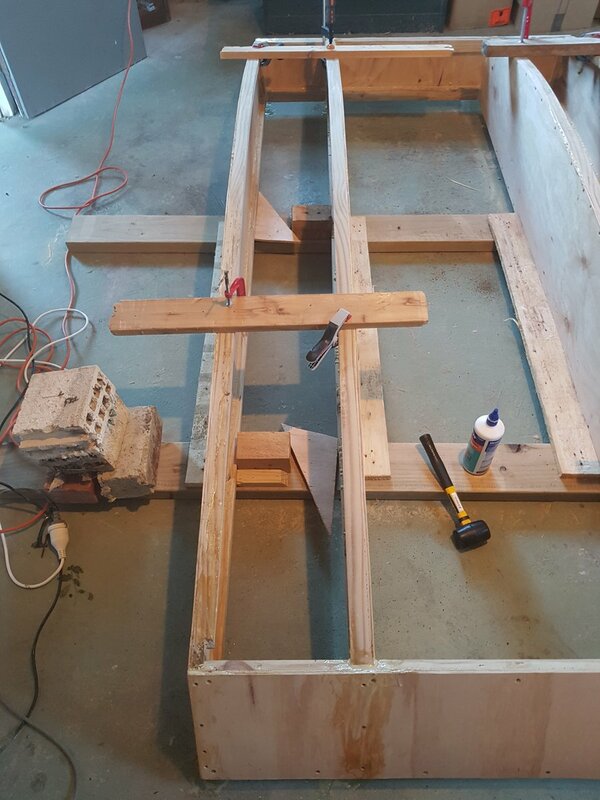 Stay tuned for the next exciting edition when the floor is attached and the boat is flipped the right way up! Those cheeky Kea's are something else! Far out! The boat is looking pretty good. My wife does the measurements to ensure that structures here are square, level, perpendicular. This is a good thing. She usually checks for square by measuring the two diagonals and if they are the same measuremtn, which occasionally I am a bit slapdash about, well, the whole thing should be square. Yeah, it can be easy to get slapdash. I mean, if the boat is a couple of mm out of square, I don't think it is going to handle differently on the water. In this case, I couldn't use the diagonal trick due to the curve of the bottom, so I had to use my carefully calibrated eye!